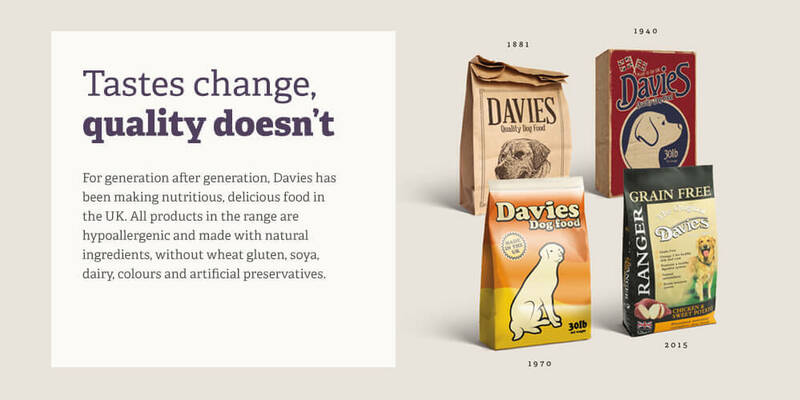 All products in the Davies range are hypoallergenic and made with natural ingredients, without wheat gluten, soya, dairy, colours and preservatives. 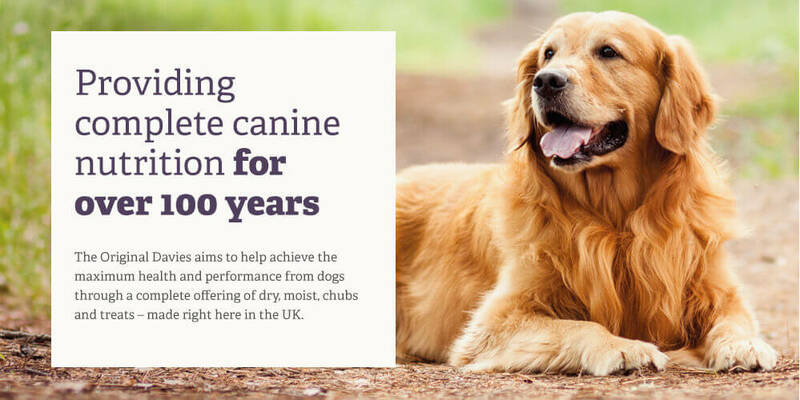 They help provide a healthy feeding solution for adult dogs, seniors and puppies. 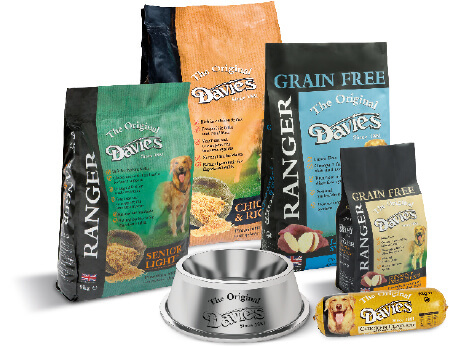 The introduction of grain-free complete dry food complements a premium range of nutritious products with exceptional quality. Ranger offers a selection of complete foods, offering balanced nutrition with omega 3 oils for healthy skin and coat, a prebiotic chicory extract to promote good digestion and yeast extracts to boost the immune system.